I've let the DP do most of the talking in this card. 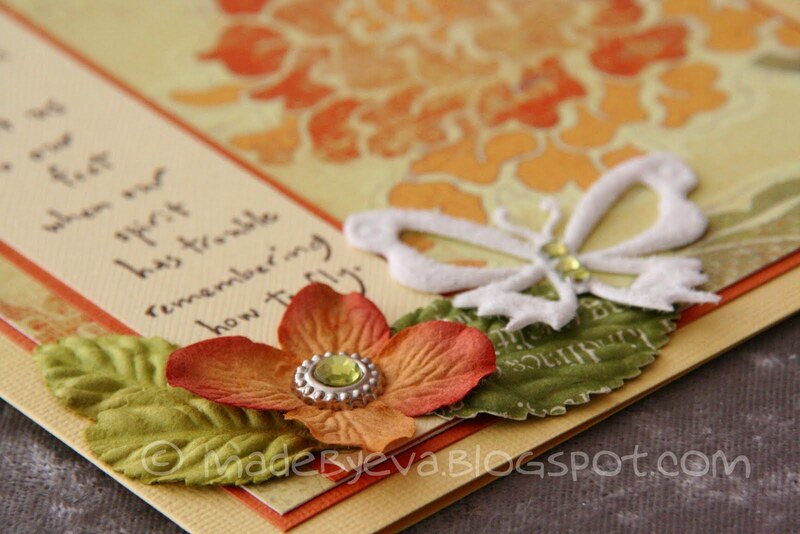 How could I possibly hide that gorgeous flower behind other embellishments? Now, there's only one quarter left... Use it, Eva, use it now! No point in hiding it away in the stash, even if that's the end of it. Ah, who knew card making would cause such heart ache. ;) If you're curious of what I did with the first half of this lovely MME paper, you can find those cards here and here. The wonderful, tall text stamp by Penny Black (my favourite line!) was originally intended for a different card, but made its way over here when I realised it fit perfectly next to the large flower on the DP. 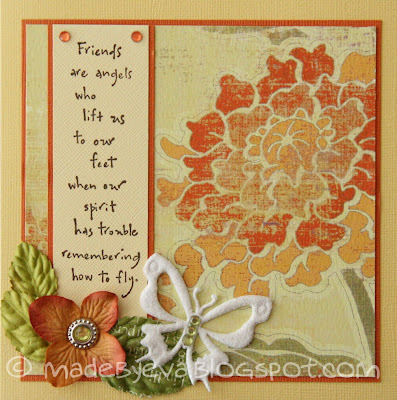 I wanted to include something with wings to complement the sentiment, and found this felt-like butterfly from HobbyHimmelen. A couple of leaves, a flower and some bling was all that was needed to complete the card.